When the fire swept through the Cutty Sark last year many people were gutted too – not least myself, enjoying a wintery 99er with my sister and cousins (in the mid-60s). The ship has become part of the landscape in south-east London even though she has only been in the dry-dock since 1954. Fortunately as she is under restoration much of the ship was in storage and so not damaged. An article in The Independent reports that antique teak from an Indian warehouse is being used to replace timbers damaged or lost in the fire. It is a (just another) sign of the times that although the Cutty Sark is berthed in the shadows of the Canary Wharf financial centre across the Thames on the Isle of Dogs and so little is needed to fund the restoration work that the funding is not forthcoming. The ship is an emblem of technological advance, inspired by trade and risk-taking. The Cutty Sark is a Grade 1 listed monument. 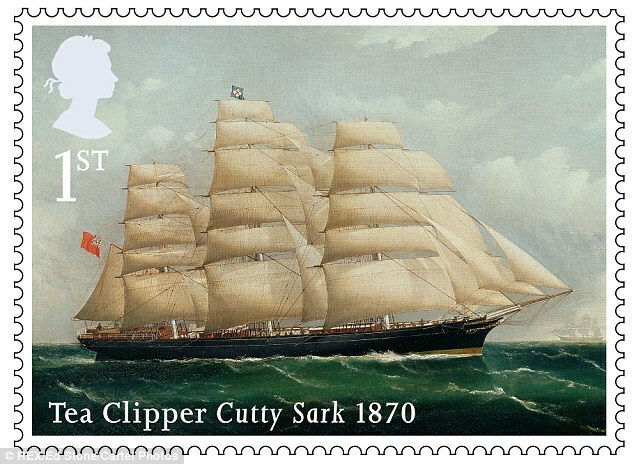 Launched in 1869 to work as a tea clipper she did the passage from China to London in 1872 in 122 days, and later in life carrying wool made the passage from Australia to London in 67 days. My father made a wooden model of the Cutty Sark in the mid-1970s (I suspect that it took him as long as building the real thing). 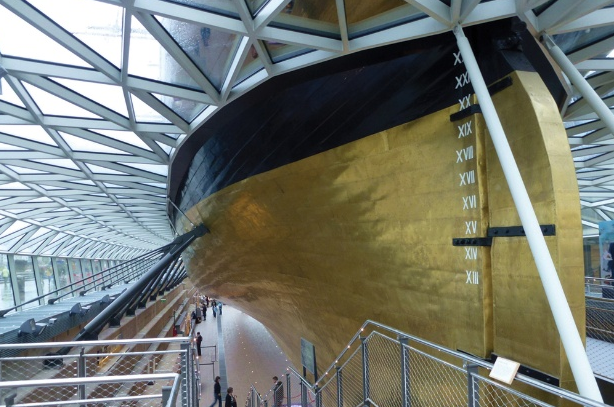 I see – belatedly – that the Cutty Sark restoration was the 2012 winner of the Carbuncle Cup. In previous years the Carbuncle Cup has been handed out to buildings that were the product of horrifying greed or negligence, but neither charge could be fairly levelled against the backers of this year’s winner. The spectacularly wrongheaded “restoration” of the Cutty Sark is a project that the charitable trust that owns the ship — the greatest and last remaining 19th century tea clipper — has pursued doggedly for the past eight years. It appointed an architect with an international reputation, and has defended its vision. It has overcome funding crises and even the loss of part of the ship’s fabric in a fire during the course of conservation work. It has worked with the best of intentions and yet has tragically succeeded in defiling the very thing it set out to save. Previous Previous post: Gordon Green?